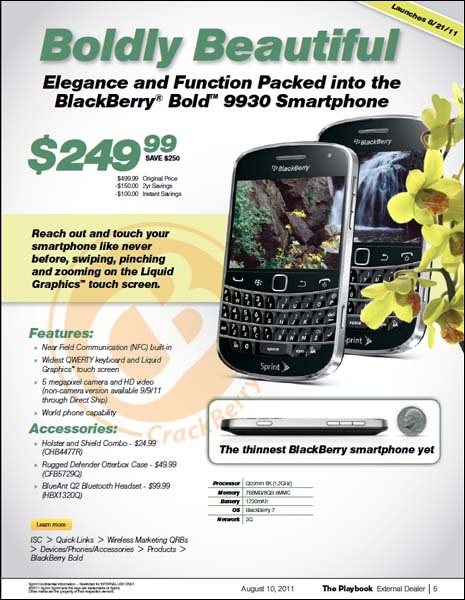 Sprint announced the BlackBerry Bold 9930 last week, but didn't reveal the date it would be available for purchase, stating simply they would be available "this fall". We've been saying for awhile now that August 21st would be the date, and now that's been confirmed through the Sprint Playbook as well as the price which is listed at $499 outright or $249 on a two year plan. Awesome! !